On Wednesday, President Obama took another step toward securing his climate legacy. This time his focus wasn’t on energy, public lands or international diplomacy. It was on national security and making sure the U.S. military is prepared for a more unstable future. The White House published a presidential memorandum setting up a timetable for more than 20 federal agencies to come up with a plan to put climate science into action when it comes to national security. 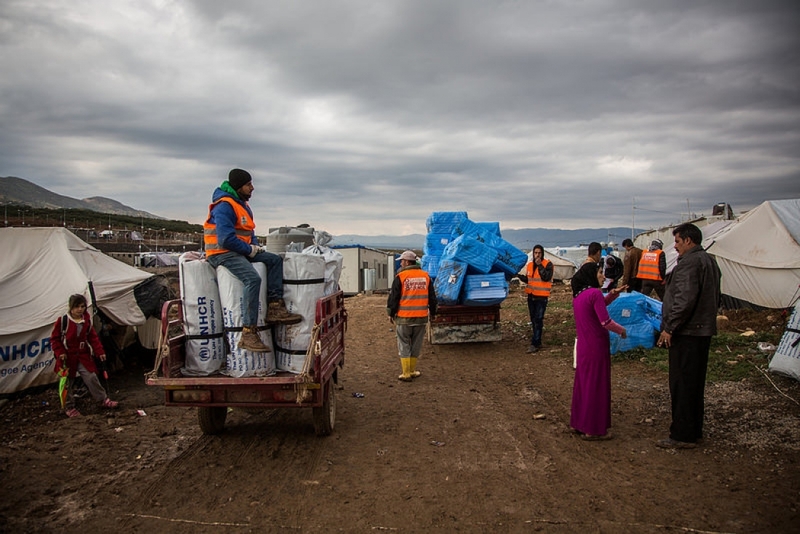 Aid workers delivering insulation to Syrian refugees in Iraq ahead of winter. Accompanying the memo was a report from National Intelligence Council outlining what some of the main climate threats will be to national security in the coming decades. Examples of climate disruption are peppered throughout the report from how drought-induced food shortages in Mali led insurgent groups to start a “food for jihad” campaign, to how melting sea ice is raising tensions in the Arctic between Canada, Russia and other countries with a stake in the region. Climate impacts have the power to destabilize the regions where they occur as well as places thousands of miles away. The Syrian civil war is the most notable example. Research has tied its start, in part, to a climate change-fueled drought that has sparked the greatest refugee crisis since World War II, according to Goodman. Other researchers were also quick to point out the chain of impacts the drought has had. Afghan National Army commandos and coalition forces board a Chinook helicopter in Afghanistan's Khandar province. Yet the present security concerns could pale in comparison to the future as the climate becomes more unstable. Sea level rise could swamp megacities in developing countries with fewer resources to cope, leading to a massive exodus of people, while water shortages could create more intense conflict, particularly in arid regions. Even the infrastructure itself that supports the U.S. military faces challenges from climate change. A 2014 government report found that while the military is aware of the risks climate change poses to its 7,600 installations around the world, little action has been taken to address them because there’s been no strong guidance. The new Presidential Memorandum changes that by laying out a timeline for creating a plan and implementing it. 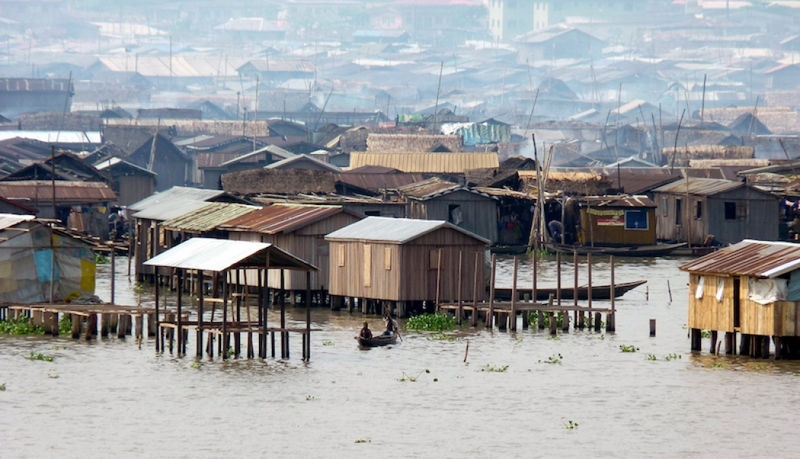 Lagos, Nigeria's largest city, sits directly on the coast and is extremely vulnerable to sea level rise. The memo gives a host of federal agencies a mandate to work together to include climate change in their national security planning and a timeline of 90 days to create an action plan and 150 days to create a plan to implement it. The implementation of any plans will fall squarely on the next administration. Hillary Clinton or Donald Trump could choose to go forward with the plan, restructure it or strike it down depending on their priorities. 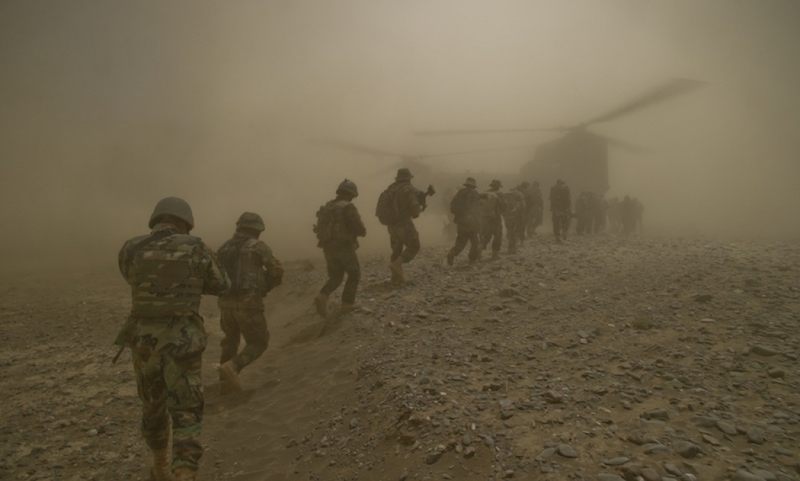 The latter would pose a major setback for the military, though, which will have to contend with more instability and the potential of major unknowns ahead.